To make the most of your chicken, you have to make the most of your pan drippings. 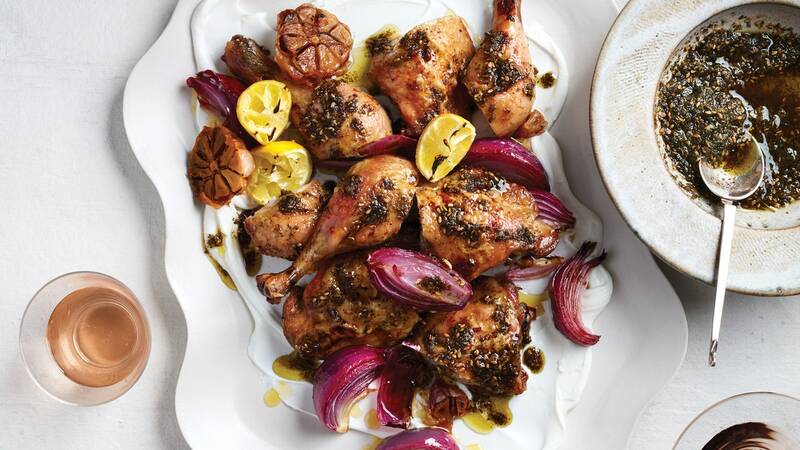 Here the garlic- and lemon-infused chicken fat is mixed with a citrusy za’atar and spooned over the fall-apart meat. Make sure the garlic halves are turned cut side down and in contact with the pan for gloriously caramelized cloves.